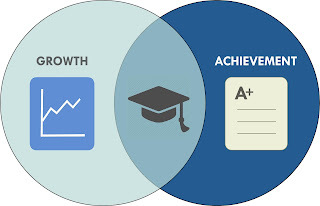 ATI Town Hall Blog: Are You Currently Measuring Both Student Growth and Achievement (SGA)? Are You Currently Measuring Both Student Growth and Achievement (SGA)? Understanding the terms “growth” and “achievement” are crucial in education. Although both of these measures are critical, they provide different insight on student learning. Achievement measures a student’s performance at a single point in time against a standard. Growth, however, measures a student’s progress between two points over time. Simply put, having one without the other is like having a photo without having the fuller story captured by the entire photo-album. One provides a single snapshot and the other provides the more complete story. If you want the complete story of student performance, one must accurately consider both growth and achievement together. Here’s a sports analogy: a track-star ran a 1-mile race in 5-minutes flat, and resultantly qualified for a national tournament. Although we’re happy for his achievement, we really want to know how our track-star improves over the entire season. After six months, is our athlete growing faster or is he still hovering at 5-minutes? This information helps us predict if our athlete is on track to qualify for the Olympics! More importantly, if he’s not on track, we can use this data to implement a performance improvement plan before it’s too late. In education, measuring both growth and achievement gives us the complete story of student learning, and this becomes valuable in developing intervention plans to ensure a student’s future academic success. 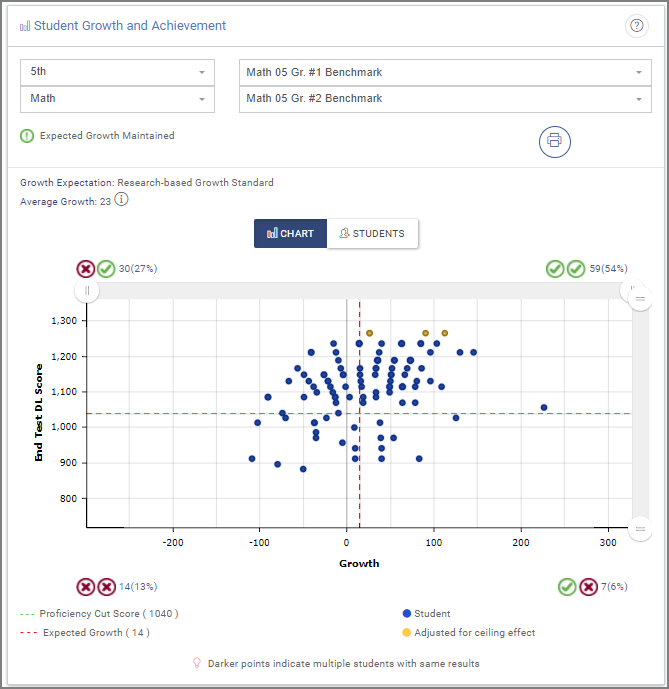 ATI’s Galileo K-12 Online Student Growth and Achievement Report offers easy to use growth and achievement reporting. This report provides a student’s developmental level at time one and time two. It then cross-classifies student growth and achievement into performance categories. When tests and students are selected in the report, a student’s data is displayed into one of four quadrants: 1) lower growth/higher achievement; 2) higher growth/higher achievement; 3) lower growth/lower achievement; and 4) lower growth/lower achievement. Additionally, the report is available to class-, school-, and district-level users. That is, it can be configured for a single class or entire school or an entire district (i.e., from small picture to big picture). It also lets teachers with multiple classes of the same subject categorize all their students into the same growth categorization, which streamlines the reporting process. Lastly, SGA reporting lets educators run a report on any two benchmark-assessments (i.e., a pre-test and post-test) and compares the actual growth against predicted growth expectations…we like to know where we stack-up. In short, when growth and achievement data are properly used together, in easy-to-use reports, it can produce significant clarity on how to track and improve student learning. Learn more about the SGA Report and other dynamic reports in Galileo by contacting one of our knowledgeable field services coordinators for a demonstration. 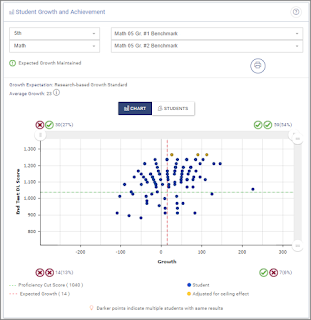 The Galileo K-12 Online Student Growth and Achievement Report is easily accessible from the Staff Launchpad or Administrator Dashboard.